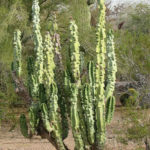 Pachycereus schottii f. monstrosus is a slow-growing, smooth-skinned, columnar cactus 12 feet (3.6 m) tall with stems that branch at the base to form a short trunk. 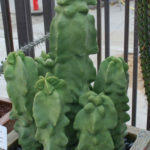 It is a slow-growing cactus with smooth skin and no visible spines, light to medium green coloring and small bumps or areoles along the entire length of its long columns, giving it the illusion of having multiple faces carved into the plant. It is a night bloomer, and in late spring it produces light pink blossoms that open at dusk and close up by mid morning. 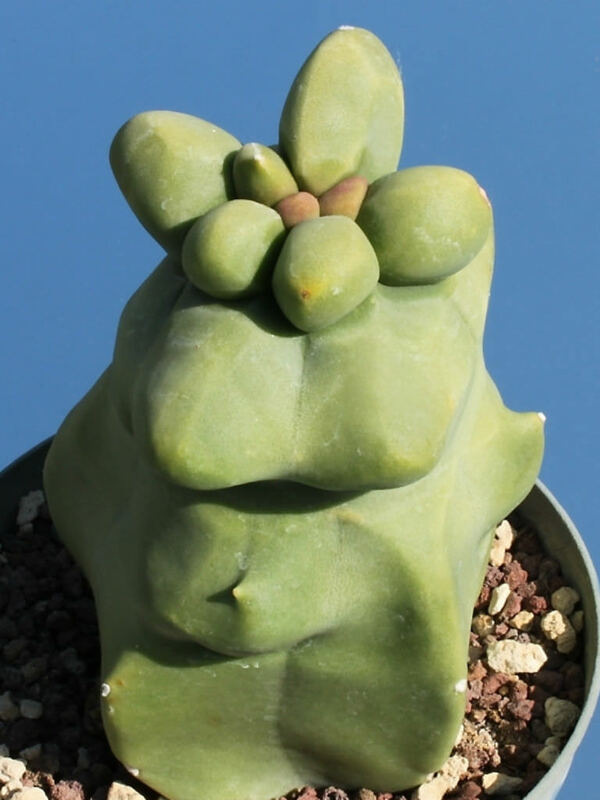 It also develops an edible, egg-shaped, red fruit with red pulp. 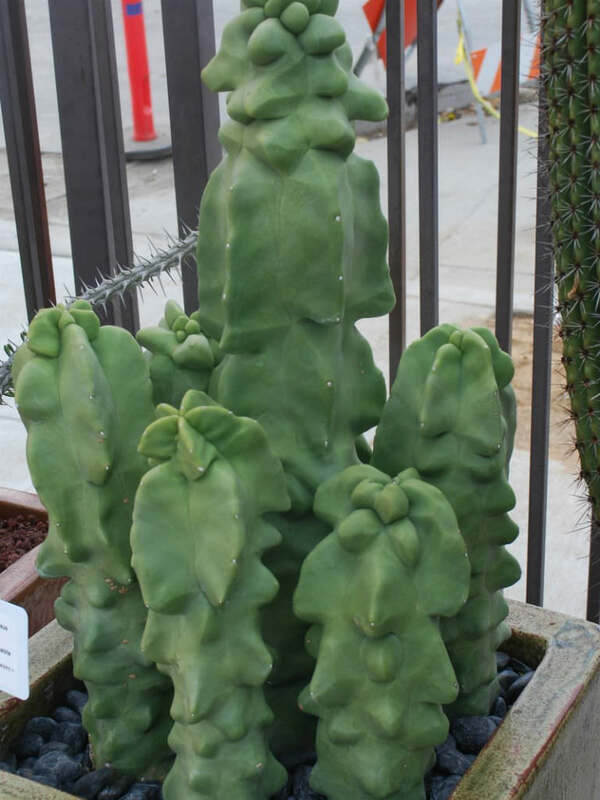 These extraordinarily low-maintenance plants can basically grow untouched for decades, so there’s really not a lot you need to worry about. 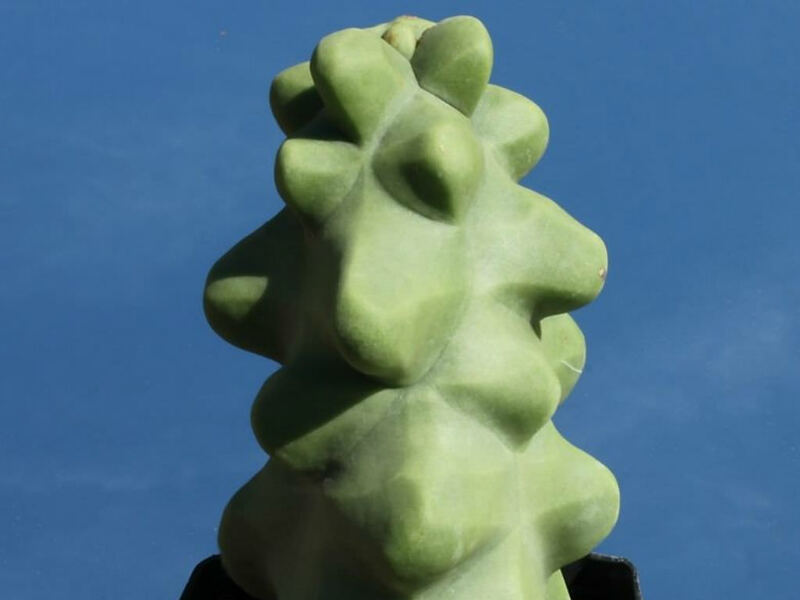 Obviously it’s very important that they receive adequate sun and heat, and be careful around their spines. If grown in containers, make sure that they’re being repotted and that their soil isn’t too moist. 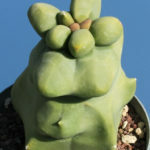 Other than that, these plants are about as simple and hands-off as it gets. 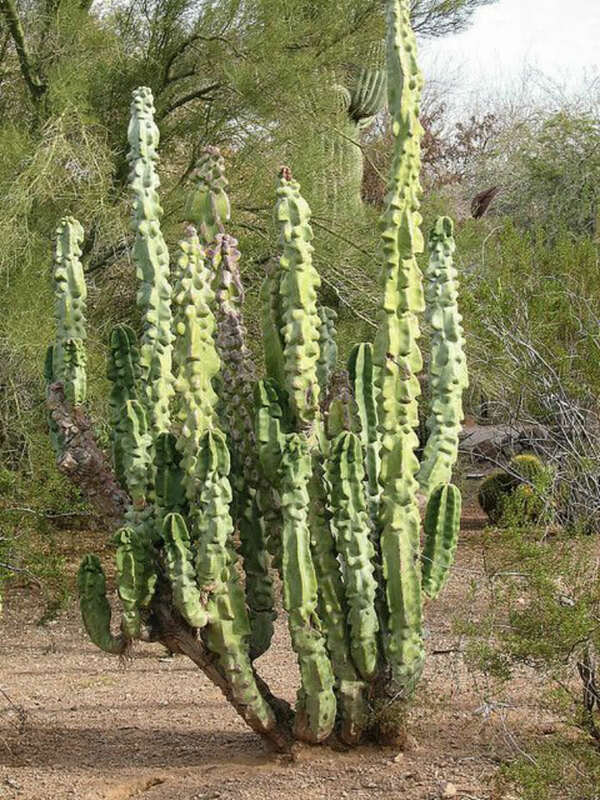 Native to the desert regions of mainland Mexico and the Baja California peninsula of Mexico.